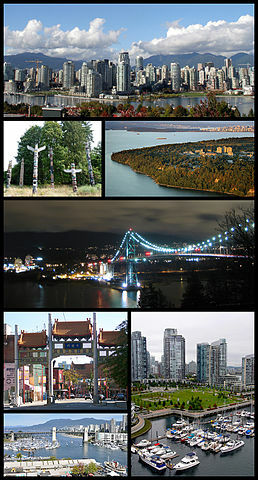 Vancouver is the largest metropolitan area in Western Canada, and third largest in Canada, with a population of 2.6 million. It is located at the southwestern corner of the coastal province of British Columbia, between the Coast Mountains and the Pacific Ocean and it is frequently ranked as one of the "best cities to live in". Vancouver is one of the most ethnically and linguistically diverse cities in Canada; many residents do not speak English as their first language (some statistics say as much as 51%). Vancouver is one of the warmest Canadian cities. 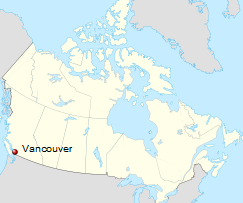 Vancouver's climate is temperate by Canadian standards and the winters in are the fourth mildest of Canadian cities after nearby Victoria, Nanaimo and Duncan, all on Vancouver Island. Summer months are drier and sunnier with moderate temperatures, tempered by sea breezes. The daily maximum averages 22 °C in July and August, with highs rarely reaching 30 °C. The highest temperature ever recorded within the city of Vancouver was 35.0 °C . As in every large city the rent wildly varies so it is betters to check on craigslist and other sites the rent you would be paying. A single fare that lets you travel for up to 90 min. by bus, SeaBus or Skytrain would cost you $2.75 for all three zones weekdays after 6:30 pm and all day Saturday, Sunday and Holidays. Weekdays from start of service to 6:30 p.m. will be $2.75 for one zone, $4 for two zones and $5.50 for three zones. A monthly pass that provides unlimited travel within the selected zone(s) on weekdays and across all zones on weekends, statutory holidays, and after 6:30 p.m. on weekday evenings is $91 for one zone, $124 for two zones and $170 for three zones. Here is the link to Metro Vancouver's transportation site: Translink.